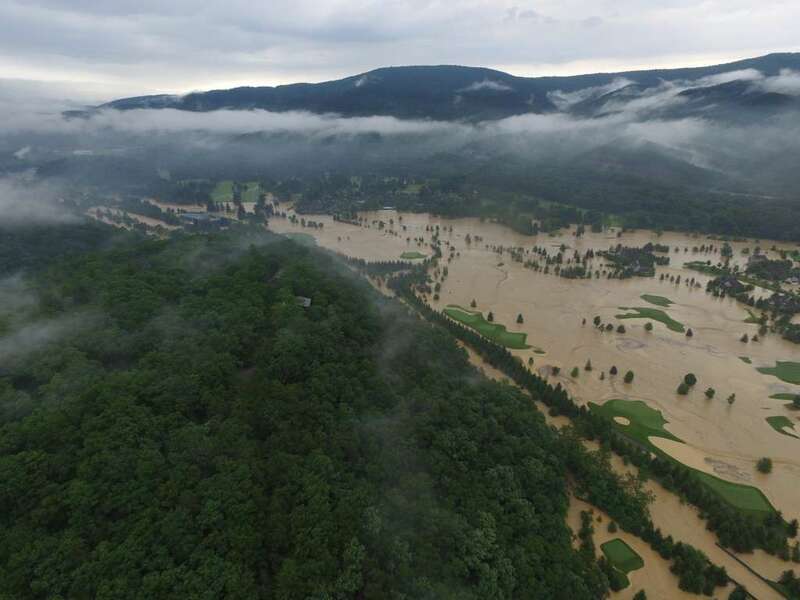 A southern West Virginia friend posted this image of the Greenbrier flooding on Facebook. Devastating. He reminded me, though, that a similar thing happened in 1985, when we were at school at West Virginia University in Morgantown. I remember some university efforts at the time to provide aid. It doesn’t look good for the Greenbrier Classic in two weeks. But if any group of people can recover from such things, it’s West Virginians. My prayers go out to the citizens of my adoptive home state of West Virginia.